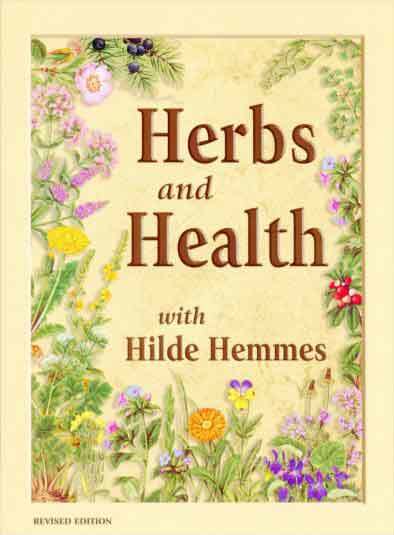 Herbs are Special > Products > Other Books and DVDs > Cancer can be Cured! Home / Other Books and DVDs / Cancer can be Cured! Father Romano Zago, a Franciscan Friar and scholar, wrote the book Cancer Can Be Cured to reveal to the world an all natural Brazilian Recipe that contains the juice made from the whole leaf plant of Aloe Arborescens and honey that has been shown to rapidly restore the body’s health so it heals itself of all types of cancer. 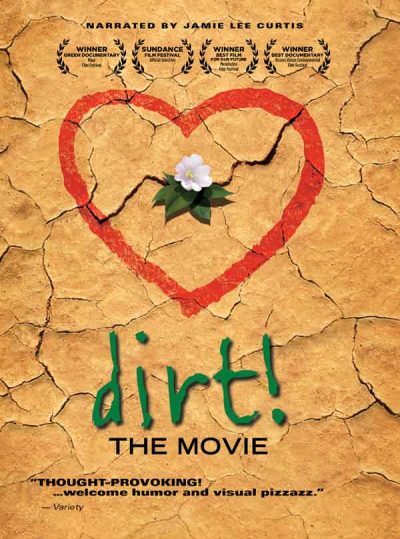 The book tells how it was while administering to the poor in the shantytown of Rio Grande dol Sul , Brazil that he and the provincial Father Arno Reckziegel, witnessed the healing of simple people of cancer who used this recipe. Later, when he had assignments in Israel and Italy where this aloe species grows naturally he continued to see great success in the chronically ill being cured when he recommended they use this recipe. 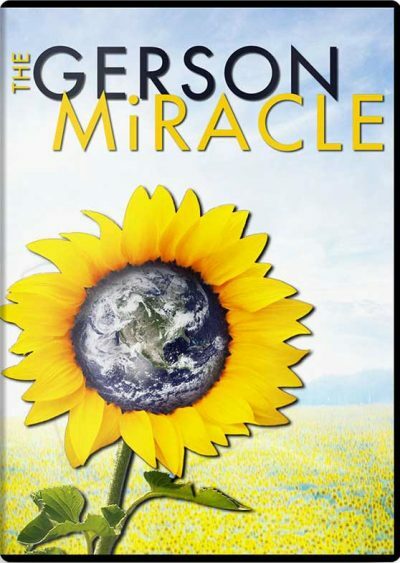 This inspired for him to spend the next 20 years in researching the science behind this aloe species and the publication of that research in this book along with his numerous first hand anecdotes of cancer healing by those using the Brazilian juice recipe. 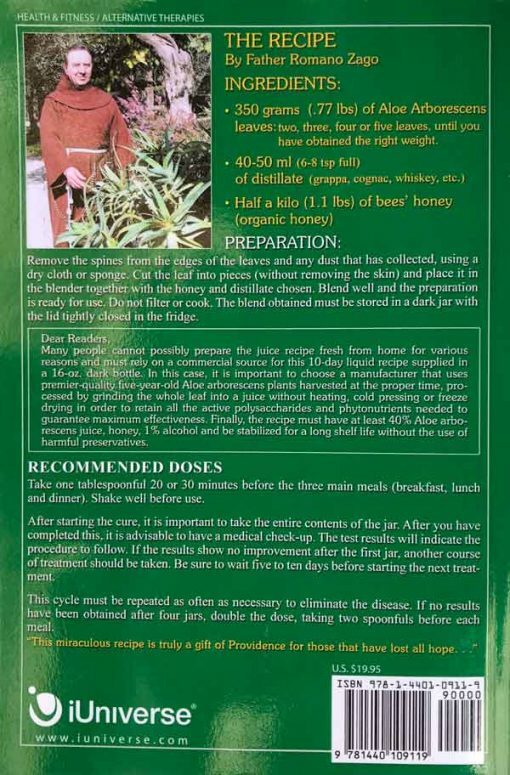 Chapters include information on how to prepare the recipe using the three ingredients of whole leaf Aloe arborescens juice, honey and a small amount of distillate (1%); how to take the preparation; questions and answers on everything from how to pick the aloe leaves, why each of the three ingredients is important in the recipe, the types of cancer that have been cured using the recipe, other diseases and health problems the recipe has shown to be beneficial in helping the human body solve; the internationalization of the recipe on five continents; anecdotal stories of some body healings; the composition of Aloe; and Aloe and Aids, and how to find a commercial manufacturer who makes the Brazilian immune formula as a dietary supplement. In the Appendix is another publication by Father Romano Zago on the Scientific Monographic History of Aloe Vera and Aloe Arborescens. It is here the seal of science is placed on Aloe, one of the oldest herbal medicinal plants known to man. 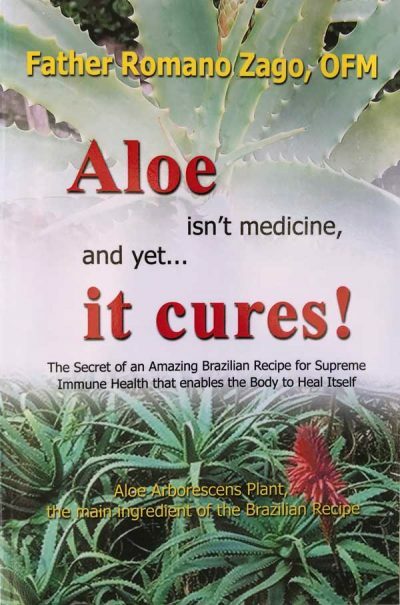 The book features an encyclopedic bibliography of current information on the scientific studies and writings validating the healing and curative properties of Aloe Arborescens. The author shows how numerous articles based on the medical benefits of Aloe have and are continuing to scientifically demonstrate Aloe’s therapeutic and anti-tumor potential. 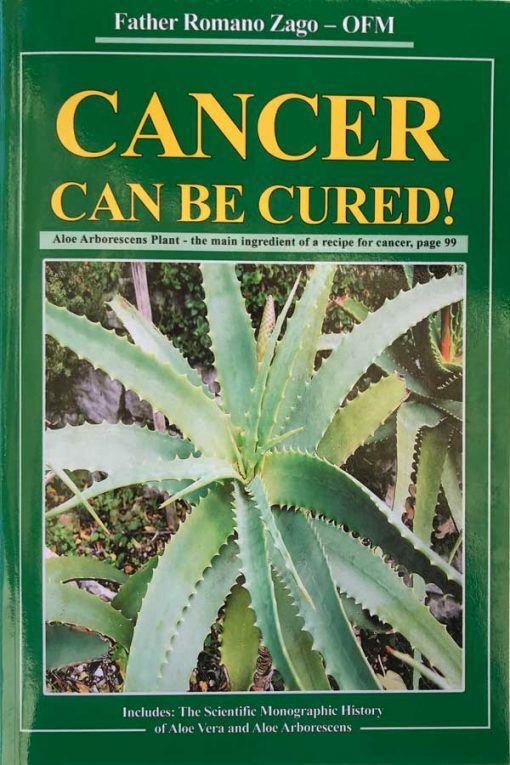 A vast but prudent bibliography demonstrating anti-tumor effects of various Aloe components on precancerous and cancerous in vitro cells and on real experimental animal neoplasis is provided in the book. Studies show this action seems to be tied to the acemannan immune-stimulant properties and glycoprotein up to anthraquinone antiviral and citotoxic properties. 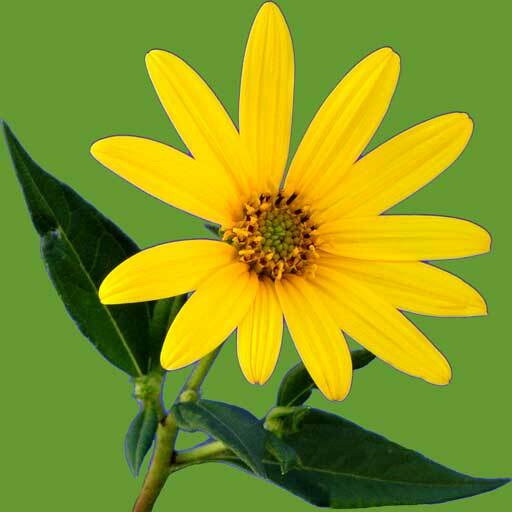 It is also related to anthraquinone and phenolic antioxidant and free radical effects as well as antioxidant vitamins (beta-carotene, Vitamin C and tocopherols) ending with the role of oligoelements. Some examples of scientific literature on Aloe’s phytotherapeutic (plant therapy) potentials are present in the citation of specific bibliographic references. (a) In laboratory experimentation on cancerous and precancerous cells. Research has been done on Aloe’s anti-tumor activities. This research has been administered on cultured leukemic human and animal cells and in neuroectodermal cultured cells. The results were very encouraging, in that they demonstrated Aloe’s intense cytotoxic inhibition activities in the development of the usual tumor cells. (b) Observations on antitumoral effects on experimental animals. Numerous publications have appeared with respect to Aloe’s antitumoral and antimetasis effects on various types of animal-induced tumors. The results showed positive derivatives from Aloe supplementation.